Last weekend we hired a Zipcar to run a few errands and decided to make use of having a car for the day and get out of the East Bay. Without much of an idea where we should go we hopped on the freeway and headed south towards the coast. Our destination after a quick consultation with Google maps: Santa Cruz. 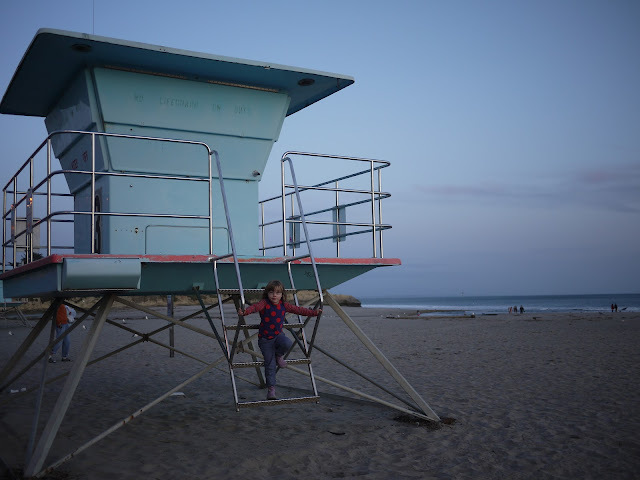 Now, as we had been out running errands earlier in the day we didn't arrive in Santa Cruz until mid afternoon. 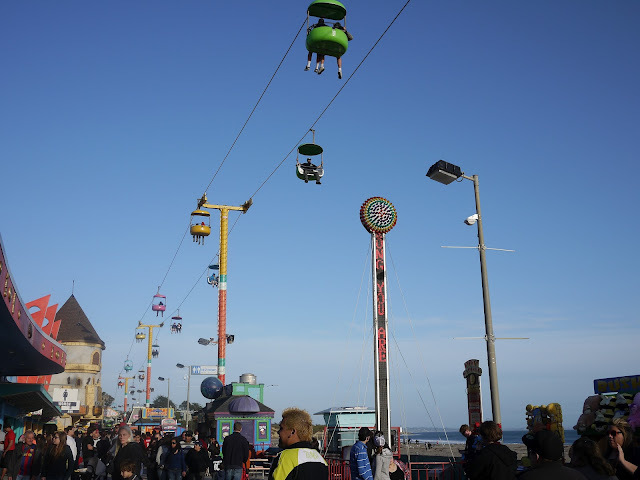 This left us with little time to explore much of Santa Cruz so we opted instead to spend our time at the Santa Cruz Beach Boardwalk, California's largest beachside amusement park. 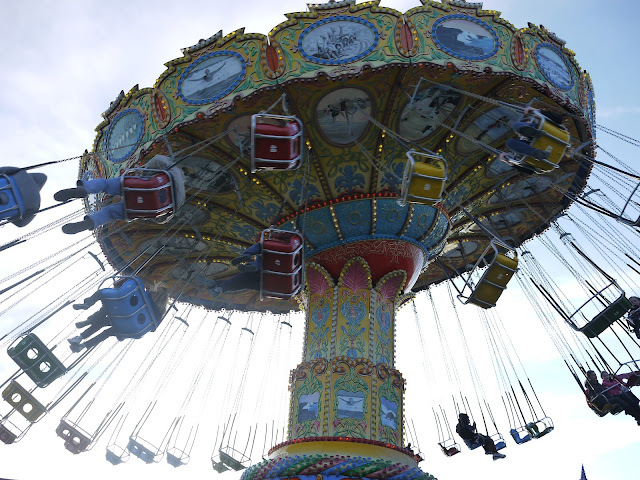 Santa Cruz Beach Boardwalk is a pretty tacky place - as are most beachside amusement parks. It was full of tacky rides, tacky people, terrible food and all that other stuff that kids love. It was great! 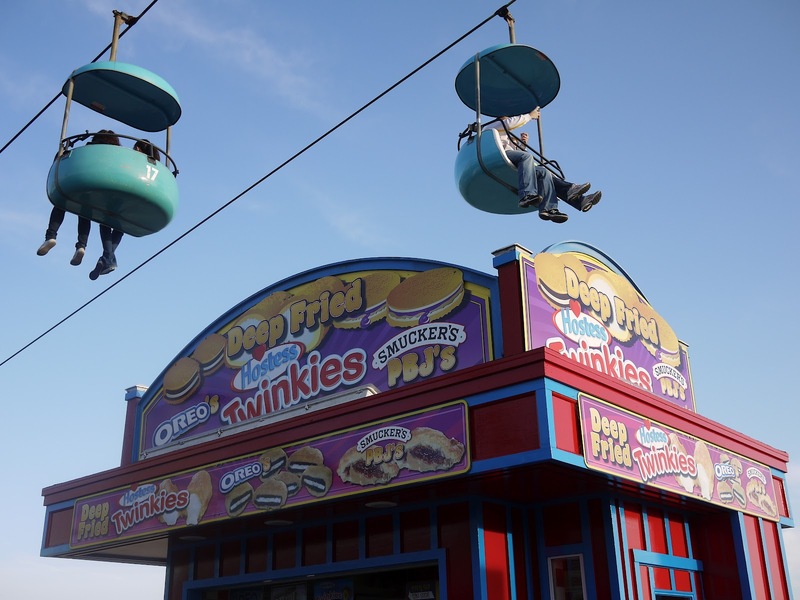 Mmm... deep fried Twinkies, Oreos and PBJ Sandwiches! Freedom! Lola escapes from her pram. I personally couldn't help but feel that I was walking around the amusement park in the fictional town of Santa Carla from The Lost Boys. Echo and the Bunnymen's cover of "People are strange" going round and round in my head. 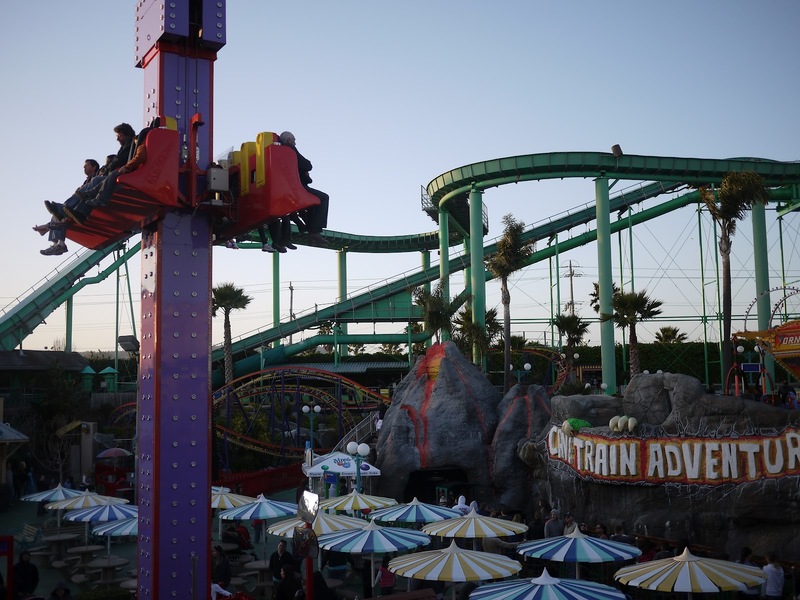 In fact the amusement park scenes, among others, from The Lost Boys were filmed right here in Santa Cruz. There were no vampires to be seen today though. Or at least, none that I knew of. 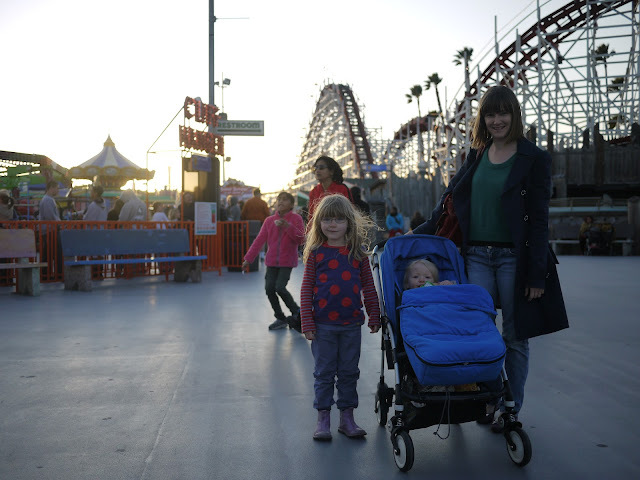 Most of the rides were a little old for the girls. In fact there were only a few rides for which Ava met the height requirements. 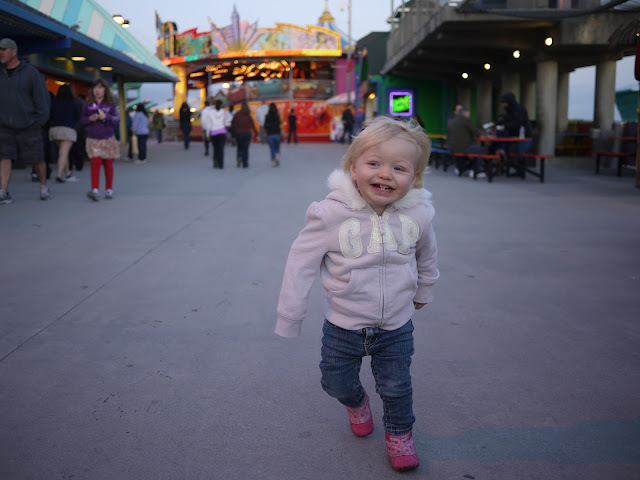 Lola of course, was too small for everything - except for the carousel. 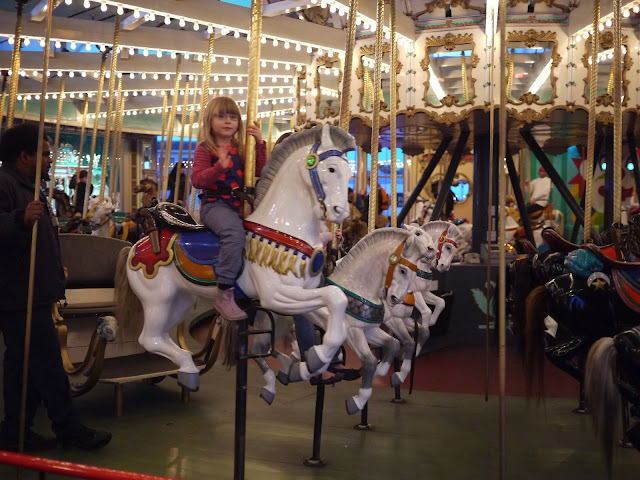 The carousel (which dates back to 1911 and is apparently a National Historic Landmark) features a ring toss game. Riders on the outside collect small rings as they pass by a certain point. They then toss these rings into the mouth of a large clown painting - or in Ava's case, on the ground a few metres away from the clown painting! 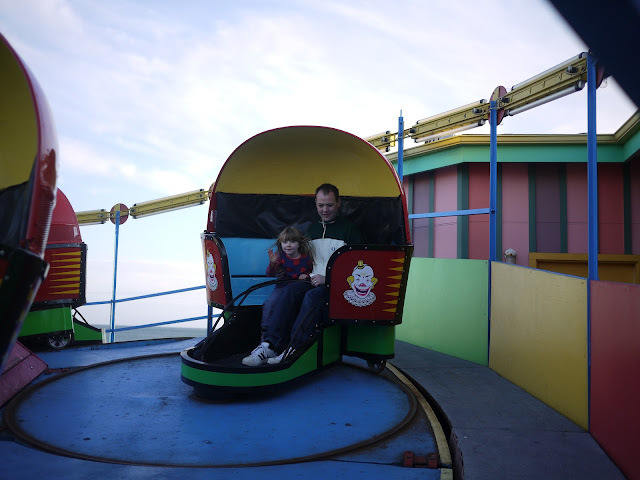 Ava and Kim also went on a ride called the Tilt-a-Whirl which you can see below. 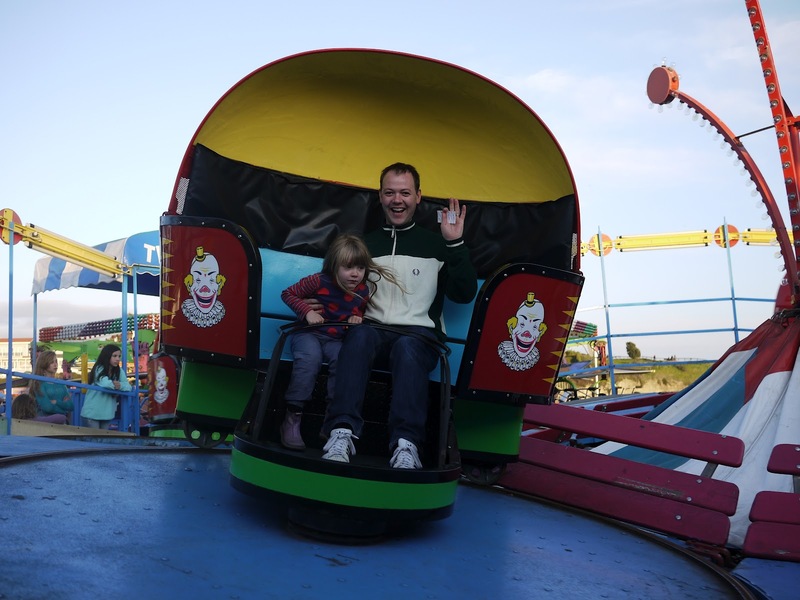 Ava loved spinning around on this one at high speed however she does look a little scared in the photos! 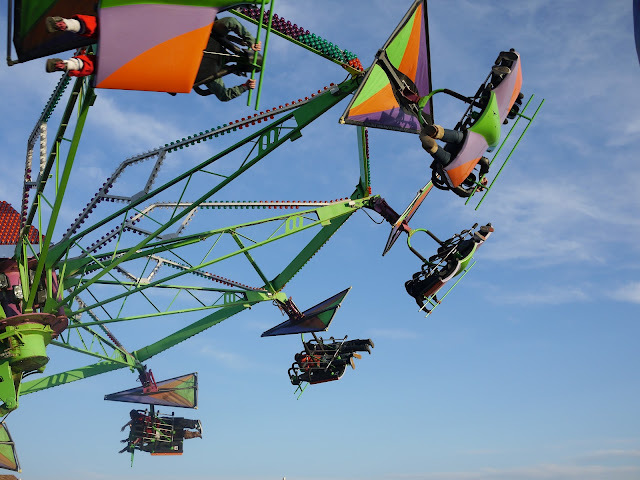 Kim and Ava had fun on this ride. Not too sure about those creepy clowns! Ava looks a little scared in this one. Maybe she saw the clown face! 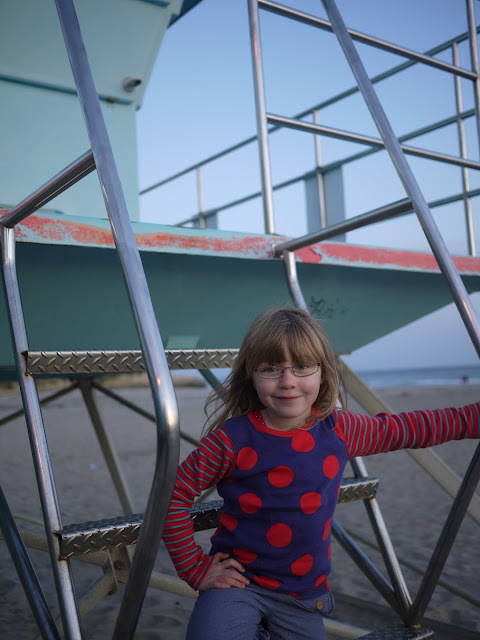 Ava, as always, was keen to get onto the beach. It was a little cool near the water and I really didn't want to deal with all the sand filled clothing that always follows so Ava's beach play was limited to hanging out on the lifeguard towers. Just like Baywatch! I'd like to think that one of these icons is telling me not to jump a motorbike over a car! A trip to Santa Cruz in the warmer months will definitely have to involve some beach action. Maybe a little boogie boarding for Ava and Kim. 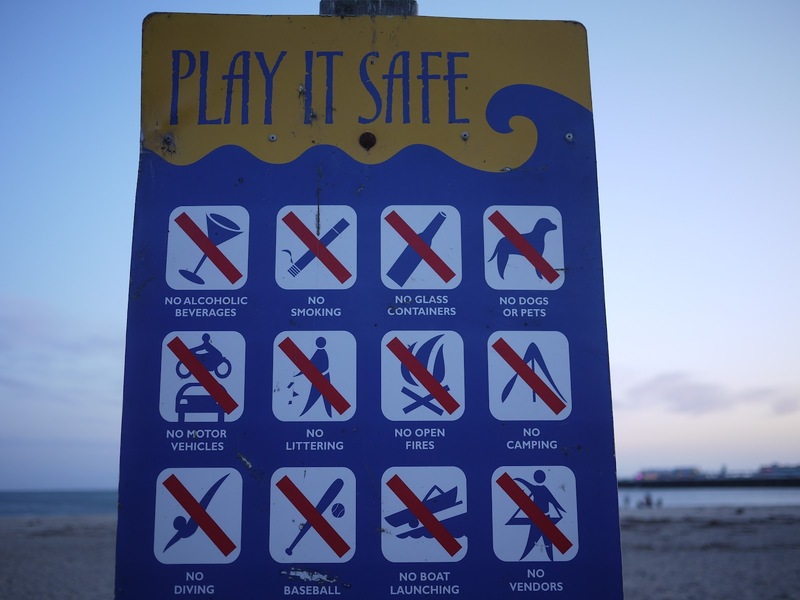 It is Surf City after all.